Bring smoothness to your hair. Leave-in hair treatment. Green Apple fragrance. Mucota Aire 10 is our best selling Mucota product! This product is specially designed for straight hair. For wavy or curly hair, check out the Mucota Aire 09 leave in treatment! 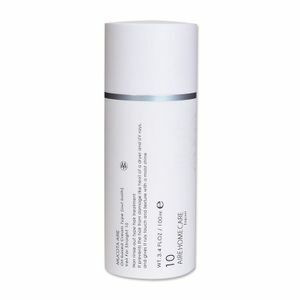 Mucota's Aire 10 is a leave-in treatment with a powerful cell membrane complex to repair damaged hair. It gives you a lightweight, smooth finish while protecting your hair from environmental damage. This leave in treatment is formulated with 18MEA, a powerful ingredient that protects the hair from damage from styling, heat, and UV radiation. Aire 10 gives your straight hair an ideal silky feel and sleek finish. If you are looking to repair your hair, prevent frizz, and hydrate dry areas, this is for you! This MUCOTA Aire 10 treatment comes in a fresh green apple scent. After towel-drying, work an appropriate amount of the treatment into the ends of your hair. Water, PPG-3 benzyl ether myristate, cyclopentasiloxane, dimethicone, stearyl trimonium chloride, honey, ethylhexyl palmitate, stearyl alcohol, cetanol, isopropanol, phenoxyethanol, distearyldimonium chloride, laureth-2, etc. Looking for the best deals for MUCOTA Aire?